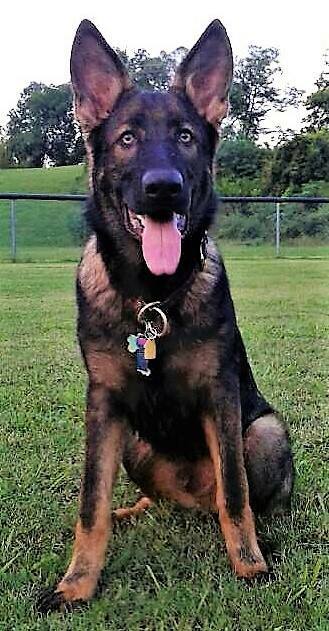 Drachma Casanova vom Wunderhaus aka "Cass"
​As my two shepherds were getting older I knew I wanted to get a puppy so they could teach them the ways before they were gone. 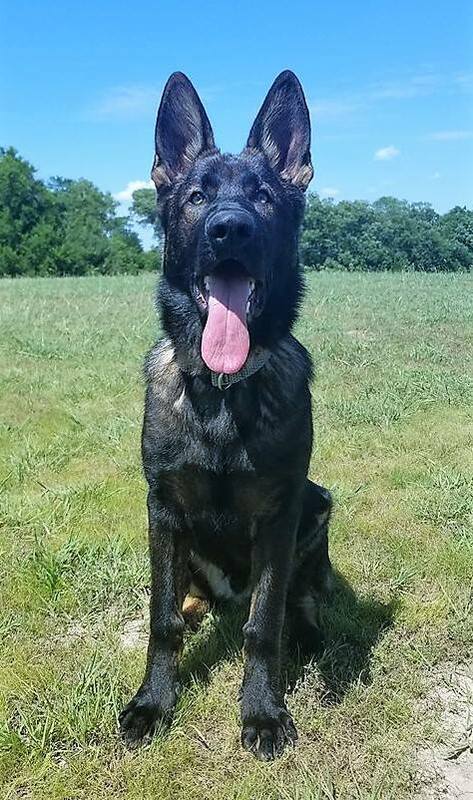 I also knew I wanted a GSD that I could work with. One day Eli walked into my place of employment and I fell in love. I started talking to his owner about him and she let me know about an upcoming litter which led me to Melody. After the application, interview and meet-and-greet I knew that Wunderhaus was an amazing breeder of these gorgeous puppies. The selection process was perfect, making sure the right puppy is matched to the right needs/wants of the buyer. I went in wanting a confident puppy that I could take to work with me and one that would excel in the world of dog sports and obedience. I got what I wanted and so much more. Casanova is a great addition to our family. He came to our home potty trained and well mannered. He has not destroyed anything that does not belong to him. He has proven to be very confident and is calm trying new things that I expose him to like swimming, running through tunnels and exploring trails. He is a very loyal dog who always aims to please. We love our Casanova and can't wait to see what the future holds for him.. 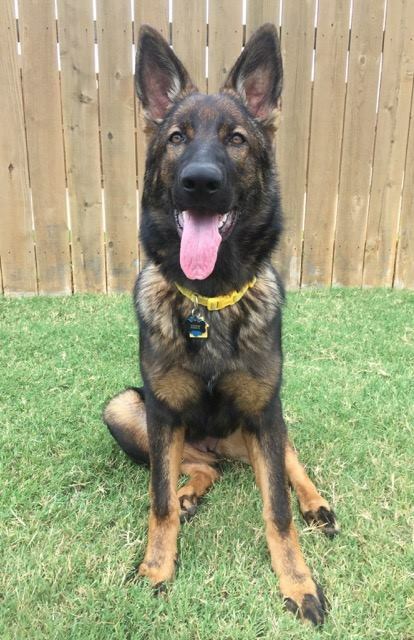 Thank you Wunderhaus for putting so much time and effort into exposing these puppies to so much as babies - that exposure has helped Casanova grow to be a solid GSD who will be very happy and successful. Calamity Jane von Wunderhaus aka "Sydney"
​Charleston Otis von Wunderhaus aka "Otis"
December 3rd, 2016, I shattered my ankle due to an unfortunate accident at work and on December 7th I had a devastating loss. 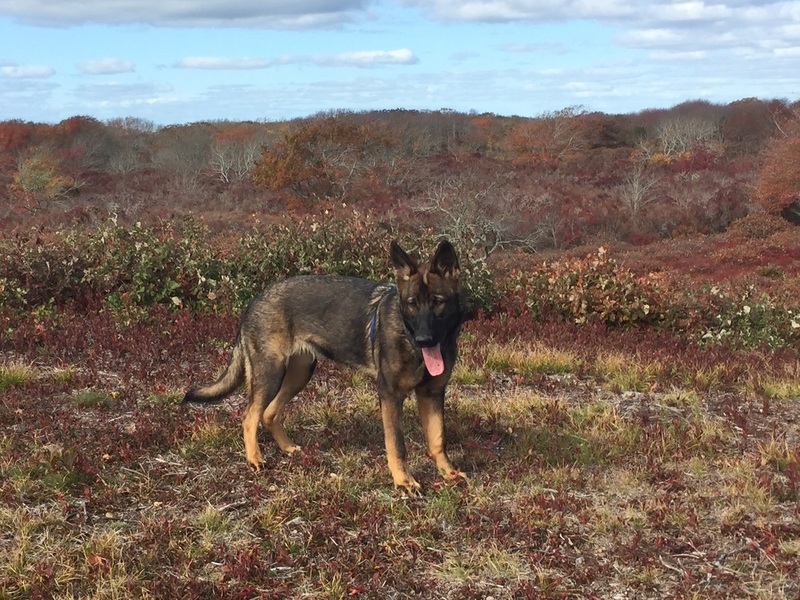 I lost my seven-year-old German Shepherd Oscar. Oscar had lymphoma and his fight was over with the deadly disease. 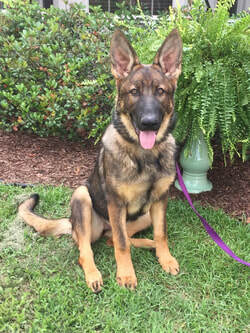 ​While on bed rest recovering from my accident I had plenty of time to do research on German Shepherd puppies and came across Wunderhaus and Melody. The sheer beauty of her dogs made me stop looking and dig deeper. Melody and I spoke several times at length and I am very thankful for that as it helped my healing process from recently losing my baby boy Oscar. 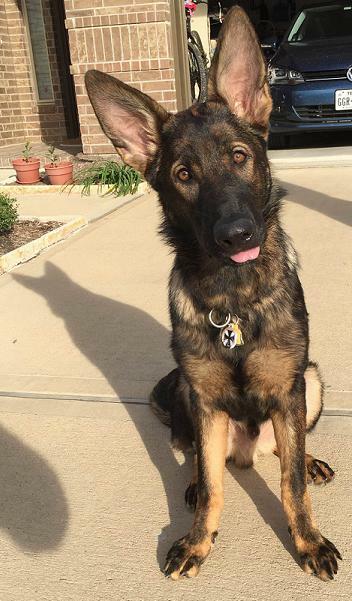 I’ve always been a huge fan of the breed and was ready for my third GSD puppy. I cannot thank Melody and her family enough for all that they have done for me. Otis (my wonderful new pup) is strikingly beautiful, smart, healthy with the best temperament. Otis is the best friend I could ever ask for. Her commitment to the breed and her pups is amazing and I cannot say enough wonderful things about Melody and Wunderhaus. Cassius Clay von Wunderhaus aka "Ali"
After deciding on a German Shepherd Dog, the hunt was on to find "the right one." I searched and corresponded with many different kennels and breeders. I was attracted to the DDR stock because of their superior structure, soundness , and nerve. Their gorgeous pigmentation and expression is the icing on the cake! I came across the Wunderhaus website and the picture of Diva and Eli at the top of the page just grabbed my attention! 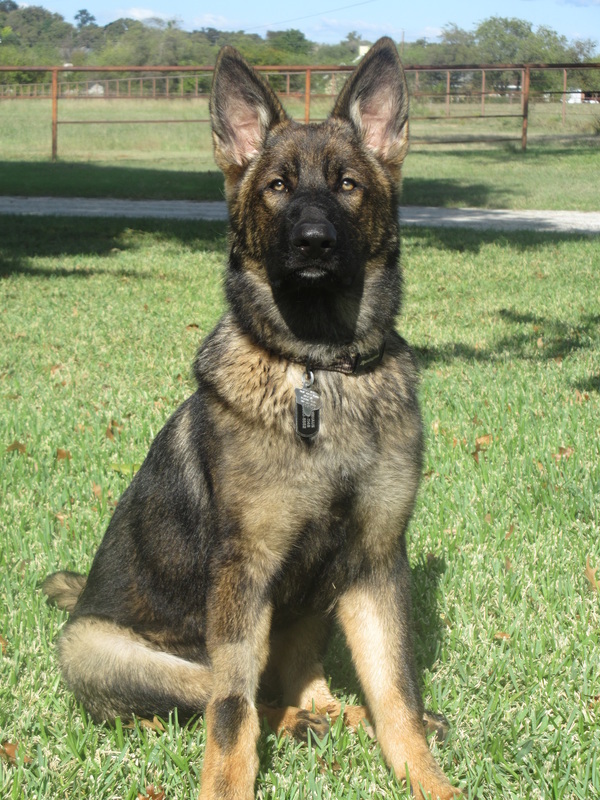 I read through their individual pages and the Wunderhaus Puppy Program, viewed the past litters, and studied the wealth of information on the German Shepherd breed as a whole. I knew this was it!! This was the one! I contacted Melody and was placed on the waiting list. After much anticipation, Diva gave birth to a gorgeous litter of healthy pups, the Country Crooners! From day one everyone was able to follow the puppies in their development via the Wunderhaus Family page. We got to see their first exposure to new sensations and environments, videos of playtime, and essentially the first two months of their lives! Finally, the time came!! My mother and I made the 14 hour drive from East Tennessee to North Texas, and it just so happened that on my birthday I picked up that sweet, perfect bundle of puppy love, forest green collar male. It was an experience that I will never forget and cherish for the rest of my life! Countess Izabella von Wunderhaus aka "Izzy"
clicked on the “Contact Us” tab on the Wunderhaus GSD website looking for a telephone number. There was no telephone number listed on the “Contact Us” tab. There was; however, a link to a “Puppy Placement Form”. This was my first inkling that this breeder (Melody) was different from all of the rest of the breeders that I had contacted. I concluded that the “Puppy Placement Form” was a sort of filter and the Wunderhaus breeder was not interested in talking to me until I had put in the time and effort to fill out the “Puppy Placement Form”. I spent the next 45 minutes filling out the “Puppy Placement Form”. As I hit the send button, I remember distinctly wondering how long would it take to get a response back. Within the hour, I got a call from Melody Wunder. We proceeded to have an hour and half conversation about the information I had provided on the “Puppy Placement Form” and more specifically about who I was. The whole focus of that first telephone conversation was on my suitability as a potential owner of a Wunderhaus puppy. Not once during that first or for that matter any telephone conversation did Melody try to “sell” me a puppy. She was only interested in learning more about my reasons for wanting to purchase a GSD puppy and would I be a good fit for one of her puppies. As previously mentioned by the time I found Wunderhaus, I had already spoken to several breeders on the phone. The conversations with those breeders were absolutely the polar opposite of the conversation I had with Melody. The conversations with the other breeders were all centered on how great their puppies were and the value of their puppies. They were trying to “sell” me a puppy and move on. critical the 8-16 week socialization period. These two ladies are an enormous and valuable resource. It gives me a great deal of comfort and confidence to know that I can call upon either one of them for advice and direction. On April 22, 2017, we made a lifetime covenant with our new puppy, Izzy (Litter C, Yellow Collar) and brought her home. She is absolutely awesome. Izzy is smart, loyal, and eager to please. She is very loving and simply wants to be in your presence at all times. Izzy brings joy to our live each and everyday. Izzy makes me a better person. My wife and I intend to make sure she lives a happy, healthy and full life. ​Captain Sirius von Wunderhaus aka "Captain"
​Wunderhaus German Shepherds upholds the highest standards in the health, temperament, and structure of their dogs, as well as in their care. It is evident the breeder takes the time with her litters to ensure their solid temperament, and proper screening, prior to placing them in their forever homes. 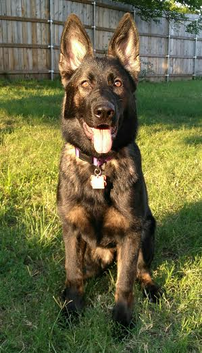 She is exceptionally knowledgeable about this breed, and healthy dogs with a sound temperament are her top priorities. She cares for her dogs deeply and does not sell to anyone that calls. The breeder asks a lot of questions to ensure that her dogs are going to be well loved, socialized, trained, and cared for throughout their life. 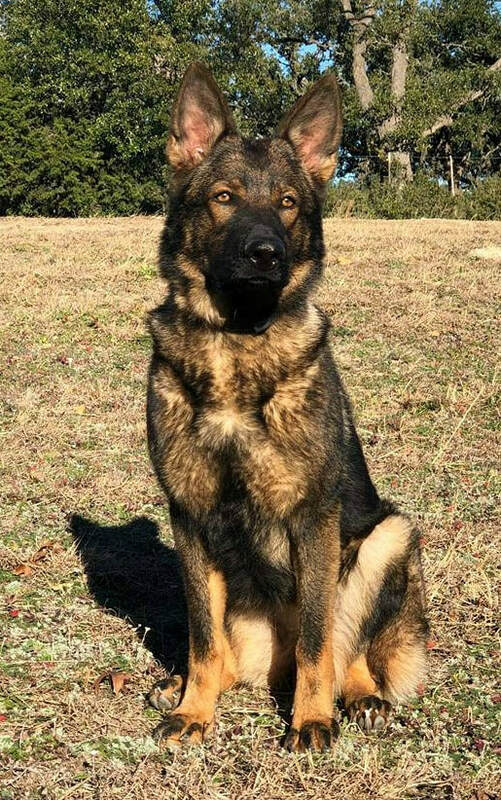 The consistentfollow-up on her pups, shows her commitment to breeding solid stock, with placement in loving homes, that will ensure quality in the GSD lines. 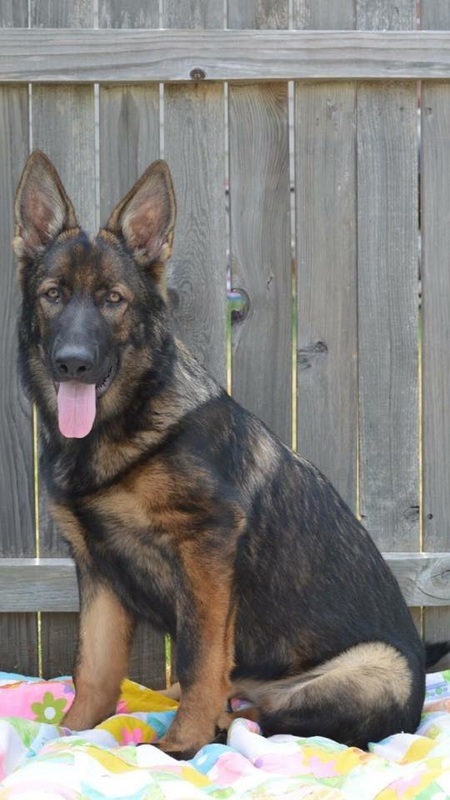 We had been researching the German Shepherd breed for a couple of years, trying to decide when the timing was right to get a puppy and most importantly, from which breeder. We met Eli and really liked his temperament and, of course, his stunning good looks. When I was told that he was expecting a litter with the beautiful Diva, I had to meet those pups and Melody! We were not quite ready for a puppy when the A litter arrived, but were given the opportunity to go see them a couple of times and fell in love with the babies and especially with Momma Diva. Melody was very open to our questions and provided us with honest, straight-forward answers. Choosing our 'B' litter pup was very difficult because they were all so awesome, but Melody's guidance helped us make the right decision - we got the feisty little red collar girl and couldn't be happier! Kit Kat is still a little spitfire and has brought such joy and happy energy to our house. She is a social, confident girlie who loves people and other dogs and isn't fazed by much. She has been started in Lure Coursing and Nose Work and loves and excels at both. We hope to start her in Barn Hunt and Herding soon, too. We were thinking seriously about getting a German Shepherd for about two years before we found Wunderhaus. 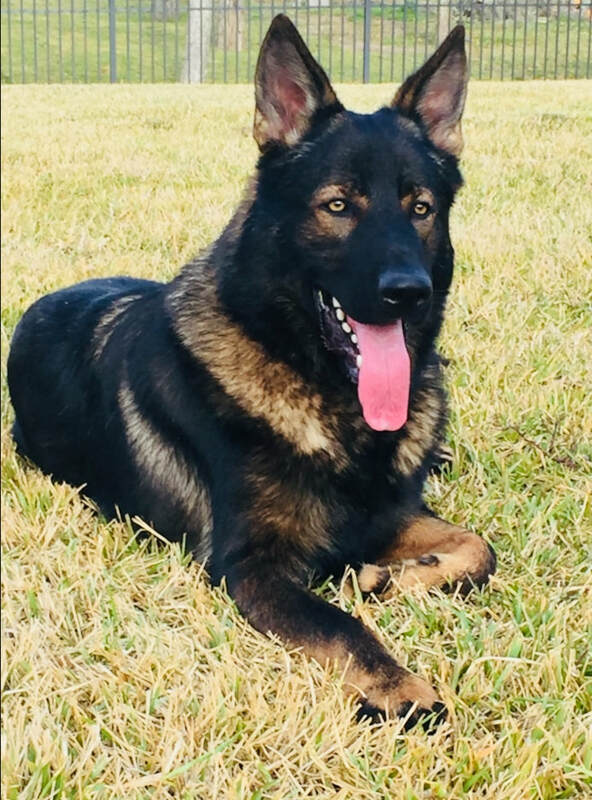 We visited some highly recommended breeders around DFW that offered great dogs, but they were typically high drive, outside in kennels, barking, and very intense; perfect for police work, not ideal for us. The experience made us second guess if our quiet (but active) lifestyle was really fit for this breed. My Aunt does Search and Rescue in California and she told me her teammate was flying to Texas to check out Wunderhaus for her next SAR pup. I was impressed she traveled so far when there are so many reputable breeders in and close to CA. I contacted Melody and she invited us to meet the 7 week old A-litter. We saw how Diva is a calm, quiet family dog, and the pups were healthy and exceptional. We could see that Melody took great care to raise the pups and give them the best possible start before they go home to their new families. We signed up that night for the B litter. 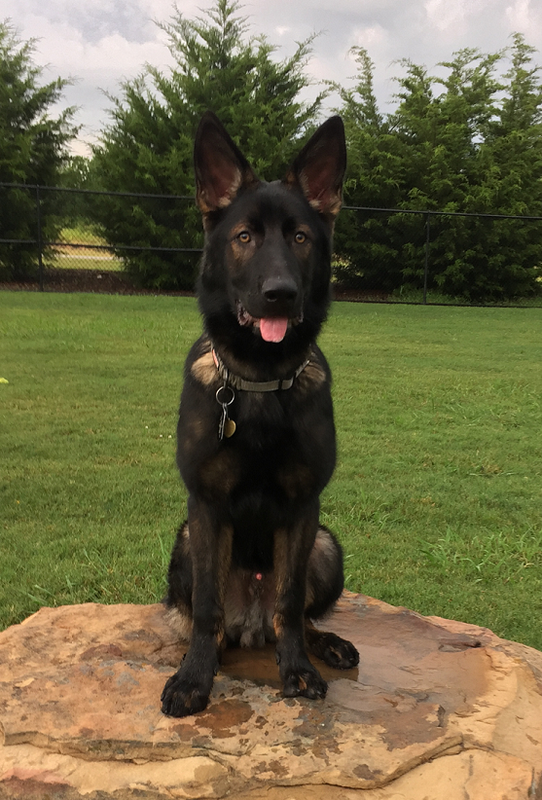 Now that Baron is 6 months old he is everything we hoped he'd be and more. He is sweet, smart, curious, confident, full of life and energy, but can also chill out when he needs to. On top of that, he's always the most handsome dog anywhere he goes. Definitely one of the best decisions we've ever made! When our 13.5 year old German Shepherd Laney passed away in October 2015, I made contact with Melody at Wunderhaus German Shepherds. 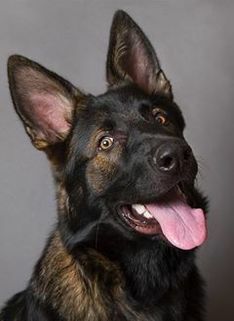 I had been impressed by the Wunderhaus website, the stunning Diva and Eli, loads of information, and also by their love of God, Family and German Shepherds. We played around with the idea of getting a puppy when we bought our home last year. We came across the Wunderhaus blog and were both very drawn in; Diva just so happened to be expecting at that time. We set up a meeting to meet Diva and both of us were instantly in love and couldn’t wait to get our hands on our own little Wunder pup. When the puppies were finally born we were able to go out and visit several times so we could get to see their little personalities develop and see them interacting with each other. We had our eye on two puppies, and picking out just one was so hard! With Melody’s recommendation we made our choice and ended up with our sweet girl Arya (white collar girl). ​We’ve had Arya now for 6 months and it's so hard to imagine what life would be like with out her now. Every time we take her out we are stopped and complemented on how stunning and well behaved she is. Arya is so smart, potty training and basic manners came easily for her. Arya brings so much life and excitement into our home. I guess we didn’t realize what we were missing. I know people have their own opinions and feelings on breeders but Melody and Ryan are great people who care a great deal about their dogs and who is taking them home. We were welcomed into a community where we all get to see our puppies grow up together, and talk about their milestones. Choosing to get a Wunderhaus puppy was one of the best choices we’ve made. Thank you Melody and Ryan for helping us complete our family. Ansgar von Wunderhaus aka "Gar"
We threw around the idea of having a dog for quite some time. Are we ready? Are the girls ready? Read countless articles, called breeders, asked questions, took notes, and Melody stood out above and beyond. She was straight forward and honest. When we met the family and Diva, we knew for sure and we are extremely happy with our decision! Gar (Ansgar) has fit in with the family from day one! He is quick to learn and eager to please. Gar is a high-drive, water-crazy, “ready to roll”, dog! He loves to ride in the car and go….literally just go. He wants to go everywhere with us. Gar has developed a close bond with our two daughters; anywhere they go, he goes. Gar’s favorite things include belly rubs and bath time. Thank you for the chance to be Gar’s fur-ever home! First, let me start by saying Anna is a PERFECT fit for our family! My husband and I were debating on whether or not our family was ready for a puppy that would be with us forever. When we found Melody’s website and saw that Anna was the last puppy, we fell in love with her pictures immediately and knew she was just waiting for us. The day we went to see Anna we were greeted by Diva who was loving, sweet and gentle with our boys showing us how Anna could be one day. After meeting Anna and spending time with her at Melody’s home. It confirmed we were in fact ready for a puppy and that puppy was Anna. Melody and her family are some of the most caring “puppy grandparents” ever! Any questions we had, Melody answered and she helped make sure we were 100% confident in everything having to do with Anna when we got her home. 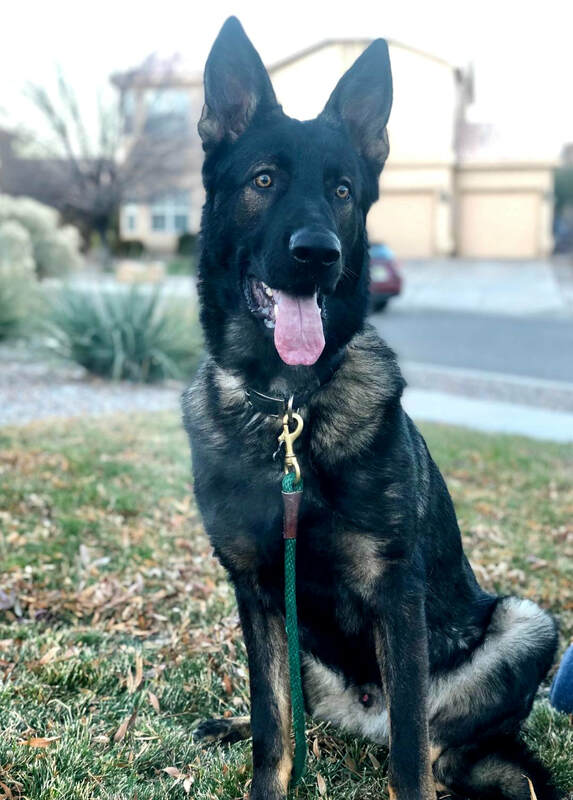 Avenger Thor von Wunderhaus aka "Thor"
​Our German Shepherd Thor made the Hunninghaus family complete. He has truly been a blessing to us. Thor is exceptional with our kids which are 4 & 8. 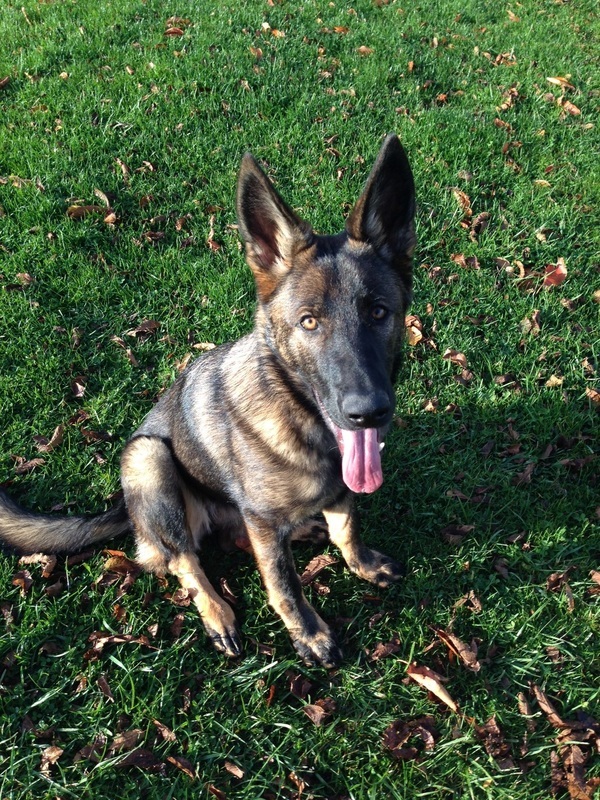 His temperament is gentle when it needs to be but he is definitely developing his protective nature at the same time. Thor is being trained to be a hunting dog by retrieving birds and developing tracking skills. He is doing great and these skills seem to come natural to him. We are so thankful to have known the Wunder family and been given the opportunity to raise one of these outstanding dogs! Ariella Nala von Wunderhaus aka "Nala"
​ Very happy with Nala! (red collar) She fits right into the family. Plays extremely well with my 8 month old son. 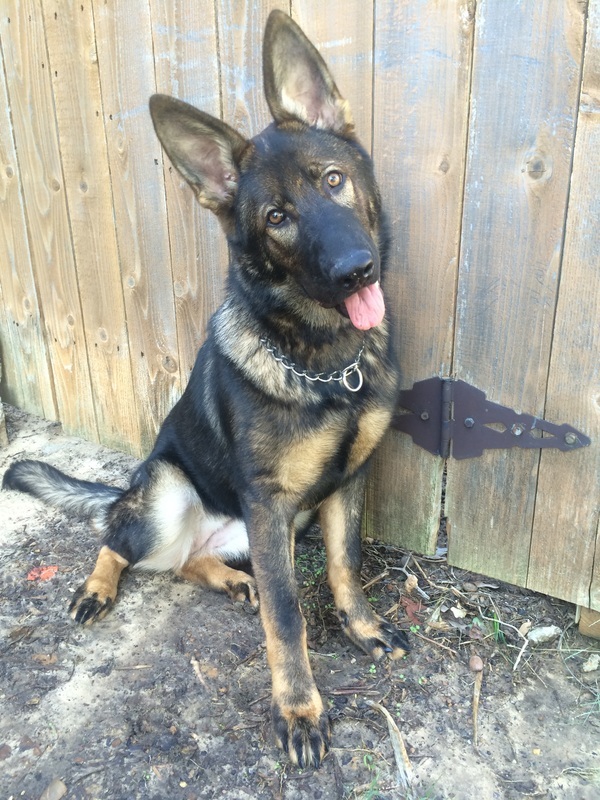 Very smart and easy to train, also Listens good off leash and has very good focus and drive! Plays well with other animals, Not scared of anything. Can't thank you enough for the great addition to the family! 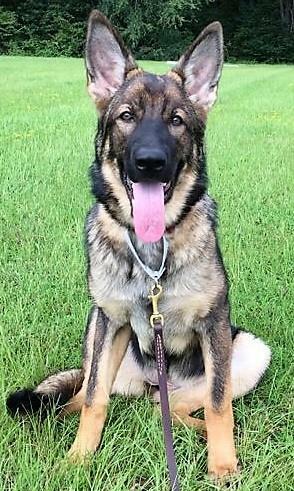 Apollo Eicke von Wunderhaus aka "Eicke"
Bella von Wunderhaus aka "Clara"
​Today, Clara is six-months old. My wife and I brought her home when she was just eight weeks. She has been the perfect addition to our family. We could not have asked for a more caring, loyal, and protective companion. She has enough stamina to tire out the boys—chasing after them in the backyard. Additionally, Clara will accompany my wife on her daily walks within the subdivision. In the home, she is well-mannered, quiet, and poised. Clara is content when she is surrounded by her family: we refer to her as “Mama.” We have been impressed with her ability to learn commands with limited instruction. Copyright © 2018 Wunderhaus German Shepherds - All Rights Reserved.